Many industry leaders are focusing their efforts in developing and manufacturing environment-friendly products and for good reason. With the gradual decline of our natural resources, going for sustainable products is a smart thing to do. Vinylume takes pride in being one of the companies committed to promoting a greener planet. In fact, we are partners with CertainTeed®, an industry-leading manufacturer of sustainable horizontal vinyl siding. Home remodeling projects leave behind waste that is harmful to our planet. Meanwhile, newly made products, disposed product parts, and debris from projects add to landfills and contribute to pollution. That said, we make sure to work with companies concerned in saving Mother Nature. 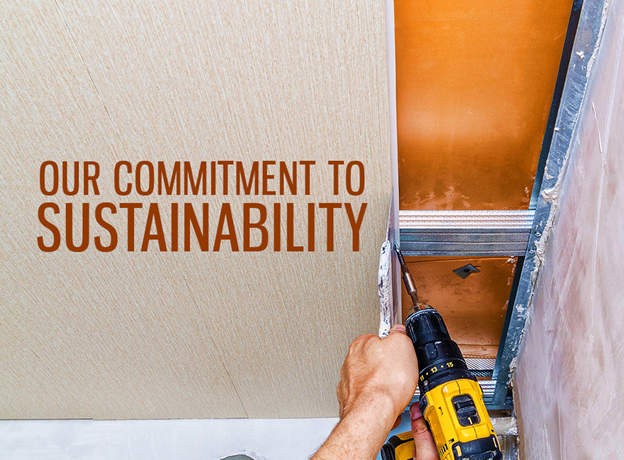 We offer products that are eco-friendly, such as CertainTeed’s vinyl siding, which meets The Leadership in Energy and Environmental Design (LEED) and The National Association of Home Builders (NAHB) sustainability standards. Lastly, we take the necessary steps to help ensure our materials and products are nature-friendly. For instance, our CT vinyl siding qualifies in such standards. It can help lessen the amount of heat in your home that can cause you to overwork your HVAC units, leading to more energy savings. Less use of your HVAC units also reduces carbon footprint, which can endanger your health. The National Association of Home Builders is an organization that supports sustainable, high-performance, and home remodeling. They are leaders for members who choose to go for green development and design. They also take proactive steps in helping their members meet this goal, such as urging the adoption of national programs. Furthermore, they promote the value of green development and sustainable new construction. We offer CertainTeed environment-friendly, vinyl siding in CT made from recycled materials. They are made in factories that are committed to preserving energy and reducing the amount of wastes produced by their manufacturing processes. You can also count on us to implement green practices that will help reduce carbon footprint. We will make sure to lessen the amount of scrap left in your siding installation. Once we finish the project, we will make sure no mess remains. Expect Vinylume to stay committed to promoting a healthier planet through our eco-friendly products and services. Call us today at (866) 244-8029 for a FREE, no-obligation consultation and estimate.